Tommy Orange pulls no punches! 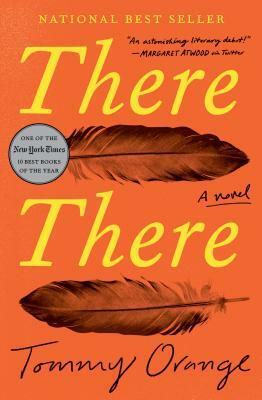 A sticky web of stories from self-labeled "urban Indians," all on their way to the first Big Oakland Powwow, There There heralds a mighty new voice in contemporary Native American literature. This book was emotional, exciting, and so accessible - all readers, from high schoolers to nonagenarians, will find a character in it who speaks to them. And it grapples with problems close to home, from opioid addiction, gun violence, and gentrification, to struggles with family ties and identity. Prepare yourself for an unflinching, faceted view of a big, gritty city and the Native people who make it. Pick up this book and say you knew Orange when.